We've been putting together PCs for more than a decade and have a vast wealth of knowledge when it comes to everything you need to be properly equipped, which includes a handy set of tools. 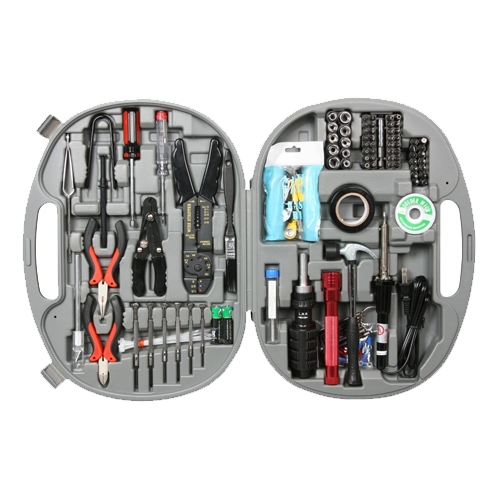 The Rosewill 146-piece toolkit has everything you need for tinkering with or building a PC. Not only can it be used for on a desktop PC, but also notebooks and other devices, especially ones where the manufacturer uses uncommon screws (looking at you Apple). Everything you need to tinker with a PC. This toolkit from Rosewill houses a cable cutter, hammer, brush, tape, flashlight, anti-static tag, and even a reversible ratch handle — everything you need for taking apart your PC to carry out some upgrades. Do you have a desktop PC that you need to open up and replace a part like a motherboard? Do you want to get into PC building and create something incredible? You'll need a toolkit, and this is a great one. 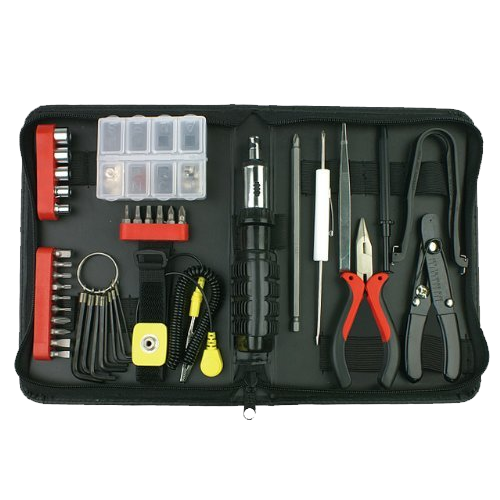 Is it a good time to buy this toolkit? Tools aren't usually replaced by better models and everything contained within this kit will be useful in decades to come. Now is as good a time as any to pick one up. This Rosewill 146-piece toolkit has everything you need to not only get inside and manage your desktop PC, but also your laptop, smartphone, office equipment, and everything else in between. The tools themselves are of good quality and will endure years of use, backed by a one-year limited warranty. 33-piece security bit and socket set. Soldering iron, wick and solder reel. It's a pricey package at $60, but is well worth the cost if you're an enthusiast and will be using the tools on a regular basis. Should you only plan to access your desktop Pc every once in a while, you may want to look at a cheaper recommendation below. As outlined already, our highlight recommendation is a little on the pricey side and may be out your budget. This is where our alternative recommendations come into play. A great value-driven middle ground kit. If you want something between affordable and premium, this Rosewill 38-piece toolkit is an ideal compromise. 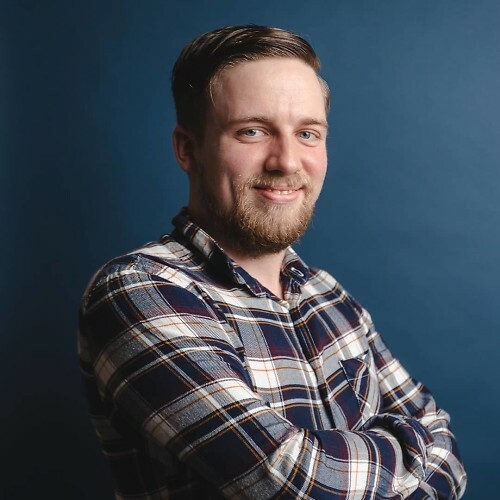 You'll only lose out on some of the more optional tools while saving some money and still able to get inside most devices. Another solution from Rosewill, which includes a total of 45 tools for PC and other electronics tinkering. As well as the usual screwdriver and tip bundle, there are pliers, cutters, hex keys, tweezers, anti-static wrist strap, and a few extras. Not quite as barebones as cheaper kits but still missing other handy options like tape, lighting, and a hammer. Cheap, compact, but has all the essentials. Sometimes you don't need countless screwdriver tips, a brush, cable cutter, among other tools. This is what makes the Yougai toolkit more appealing for someone who won't be tinkering with hardware too often. 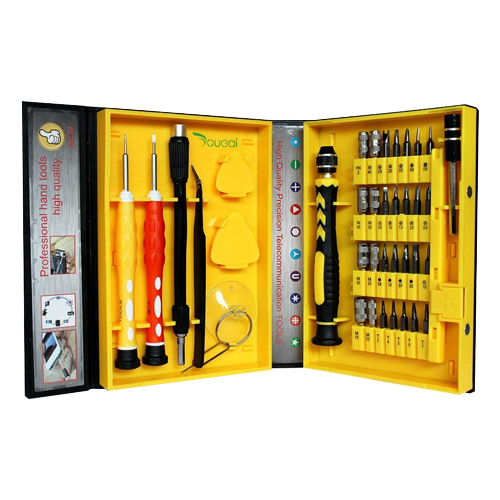 The Yougai toolkit is perfect for those who only require basic screwdriver tips and spudgers. There isn't a flashlight, nor is there a wire cutter, but for absolute PC building essentials, you'll be able to do pretty much everything with this kit. It's also fairly affordable, considering you will not only have tips for all manner of PC component and case screws, but also more fiddly ones on laptops and smartphones. The choice depends on what you need, how much you have available to spend and how often you'll take apart hardware. Should you want the best of the best, go with the Rosewill 146-piece toolkit. The Yougai 38-piece is great for those just starting out or who don't plan on doing much tinkering at all.